Every writer wants to create prose packed with energy and vitality. They know dull, lifeless writing disappoints the reader. Tired sentences are often the cornerstone of bad prose. They disrupt the flow and bore the reader. Take these tests and find out if your sentences pass, or if you’re writing tired sentences. The Problem: This one shows up a lot first person point of view, too many sentences will begin with I and my. Opening the bulk of your sentences with any single word (she, he, a character’s first name, or anything else) is tiresome for a reader. Also, it can take on an unpleasant listing quality. The Test: Print out some pages of your writing and highlight the first word of every sentence. Now read just the highlighted words. Did you see a pattern? If every third word is the same word, you have a problem. The Fix: Even if you’re writing in the first person there is no reason for every sentence to start the same way. Use items, emotions, colors, just about any word can start a sentence. Find respected authors working in first person and take note of the words they use. Don’t be afraid to try something new, you might like it. The Problem: New and experienced writers alike fall into the habit of using the same stale verbs. No writer needs to use the same verb 20 or 30 times in a single page, and yet some do. Yes, I have counted. Overuse of to be verbs is a pet peeve of mine. The Test: Use the pickle trick we taught everyone last year.Take a copy of your work (never the original) and use the search and replace function to change every occurrence of an overused verb for the word pickle. If your manuscript looks like relish vomit, you have a problem. The Fix: Rid your work of dull verbs by rewording and replacing them with a better verbs. If you are having trouble thinking of fresh verbs, I recommend reading Vex, Hex, Smash, Smooch: Let Verbs Power Your Writing, by Constance Hale. Although written for nonfiction writers, Hale hammers home the senselessness of sticking to a small assortment of verbs when so many other verbs are hungry for your attention. The Problem: Most writers know you slow down readers with longer sentences. That’s great for delivering emotionally packed prose. So super short sentences must make your manuscript read faster, right? Wrong! Lots of short sentences stacked up like dominoes, can make your work read as simplistic and monotonous. The Test: Nothing beats reading aloud. I even wrote a post about it last year, Reading Aloud: Why Hearing your Book is Important. In an ideal situation short and long sentences should work together to create pleasing tempos, almost like music. If you start sounding singsong, or like you’re droning, you have a problem. The Fix: Length preference is influenced by personal style, and modern readers favor shorter sentences. The genre you write in can help you find the right balance. 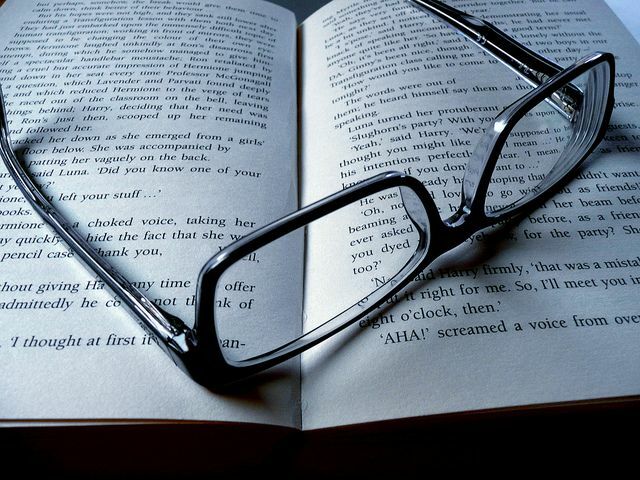 Thrillers favor shorter sentences, whereas literary writers favor longer ones. There are programs to help you count and chart each sentence length, but I think editing by ear is still best. Special Note: Longer sentences will impact the readability index and give your novel a higher score. This is an important consideration for children’s writers. The Problem: Related to sentence length is sentence structure and complexity. A writer needs to know when to keep it simple. Making good decisions about sentence style will help a writer control the pace and the tone. The Test: Print some pages of your writing and using three different colored highlighters mark each type of sentence construction. I use yellow for simple, orange for compound and red for complex sentences. If your pages look like a pleasing mix of all three colors, leaning toward the yellow/orange range, the chances are good you’re on track. If you have too much yellow (and you don’t write for young children) or too much red, you might have a problem. The Fix: Look at the type of sentence structure you overuse. If your dialogue is mostly red, you need to break those ups. Real people use back-and-forth bursts of conversation. Simple sentences (the ones marked in yellow) work great for dialogue and will lend extra punch to something shocking. Use complex sentences to slow the reader down and make them think. Again, the exact mixture is influenced by style and genre. Special Note: Compound sentences are fantastic, we all love them. But beware; don’t rely on and as your main conjunction. Any repeated pattern starts to get monotonous after a while. Hopefully you took the tests and didn’t find a single area to improve. Congratulations! Or maybe you didn’t pass. Sorry about that. At least now you know which good sentence villains you need to vanquish! I’d love to hear your good sentence tips in the comments. Is Killing Your Darlings Murdering Your Book? I love this, thank you! It’ll be a very handy checklist for me! Wonderful information here. Thank you Robin. I also am in the process of revising my memoir about attending college with five children in tow. This information is invaluable. I believe in reading your WIP aloud, both by yourself and by someone else, even if it’s a computer. [Never knew this.] Close your eyes and listen. Where is the person/computer stumbling? Where does the flow sound challenged? I’ve joined this site and truly appreciate this information. Thanks again, Robin. I’m glad the post will help you. Editing a memoir sounds challenging and exciting. Best of luck with your project. I’ve just reached the polishing stage of my latest manuscript, so this is exactly what I needed to see today. I’ll try these tricks. I’ve found a computer program that reads out loud to me while highlighting the sentence it’s reading is priceless. It not only helps me catch mistakes and typos, but awkward dialogue, and sometimes even places where I’ve used the wrong character’s name. Your program that reads aloud sounds perfect. I also use the document function on my Kindle to do a lot of this work. It really saves me time. Good luck with the edits. Reading your writing out loud is imperative. This one is a pet peeve of mine. I can tell who hasn’t read their own novel out loud. If an author read it out loud before publishing, I am certain they would do away with at least 70% of their errors. I’m not talking about typos. I’m talking about sentences with extra words in them and sentences missing words. I’m talking about pages where there are only two sentences because of run on sentences. I’m talking about problems with subject/verb agreement problems. It’s so distracting to readers that many times readers just won’t finish the novel. You just can’t replace reading aloud. I’m happy to find another fan of the practice. : ) It’s an extra step in the editing, but well worth it! Thanks for stopping by Corina. I’m loving these well laid out tips. Thank you! Thank you! I’m glad you liked the post. I’m an abuser of complex sentences, so this post comes from the heart.